Saudi Air Force Commander Killed in Yemeni Missile Attack? Browse: Home / Saudi Air Force Commander Killed in Yemeni Missile Attack? 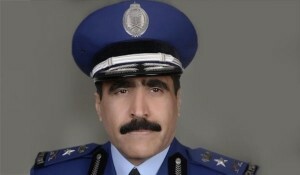 Suspicions that the Saudi Air Force commander was killed in a Scud missile attack are growing. Last Wednesday Saudi officials announced that Air Force Commander, Lieutenant General Muhammad bin Ahmed al-Shaalan had died as a result of a heart attack during a “business trip” overseas. His exact whereabouts when he suffered the cardiac arrest was not revealed. However those claims were rejected by sources close to the Yemeni army and rebels fighting Saudi forces, who claimed that bin Ahmed al-Shaalan was killed after they targeted an airbase base in Saudi Arabia with Scud missiles. Those reports were initially carried in the Iranian media but have since been reiterated by DEBKAfile, an Israeli website that is thought to have close ties to Mossad and Israeli military intelligence. A senior Yemeni rebel commander has also acknowledged the role played by his forces in the missile attack that killed Lieutenant General Muhammad bin Ahmed al-Shaalan. Although the Saudis claim that all the missiles were intercepted some evaded the Saudis Patriot missile defence system. The only reaction from the air base came from the American teams operating Patriot counter-missile batteries. They tried to shoot down the incoming missiles and managed to intercept only two or three out of a barrage of 15. Meanwhile another well-known Saudi commentator has also rejected claims that Shaalan died of a heart attack. Writing on his Tweeter page, Jamal Bean wrote that Shaalan and his accompanying subordinates were killed in the missile attack, which left their corpses burned from the heat of the blast.